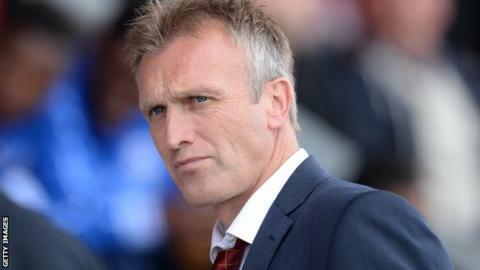 Crewe Alexandra manager Steve Davis admitted his team were "all over the place at the back" following of Saturday's 6-1 loss at MK Dons. The defeat left Crewe bottom of League One with four points from eight games. "I do not want to be associated with performances like that. If we don't improve, it's going to be a really long season," Davis told BBC Radio Stoke. "They could've had eight or nine to be honest, they were unforgiving in the way they took their goals." He continued: "I could make excuses and say that it was our third game in a week, but that's no excuse, as we were beaten by a much better team." The Alex's next match is at home to Colchester on Saturday and Davis hinted that changes could be made to his line-up. "It's an embarrassment for supporters, they've got to do so much better and if they can't then certainly there will be a lot of changes," he added.